“God was with the boy, and he grew up. He lived in the wilderness and became an expert with the bow. He lived in the wilderness of Paran, and his mother took a wife for him from the land of Egypt” (Gen. 21:20–21). 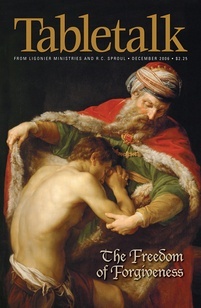 Abraham’s reluctance to send away his son Ishmael is evident in his anger toward Sarah’s demand (Gen. 21:11) as well as the need for the Lord to tell him to do as his wife has said (vv. 12–13). Once he has heard from God, Abraham obeys, but he does so half-heartedly. He only gives Hagar bread and a skin of water (v. 14), hardly enough supplies for a desert journey. Many commentators therefore suggest the patriarch wanted Hagar and Ishmael to remain close by, and so he provides only a meager supply of food and drink so that they cannot get very far. However, Abraham is not the only one concerned for Ishmael and his mother. Today’s passage finds Hagar and her son lost in the wilderness with no water left to drink. We are meant to sympathize with the Egyptian maid-servant’s plight; her abandonment of the youth under a bush and retreat to a locale outside the earshot of his cries emphasize the dire situation she faces (vv. 15–16). Yet our sympathy is certainly not enough to help this poor mother. Only heavenly intervention can rescue this family. The Lord has a special place in His heart for the afflicted (Ps. 140:12), and we should not be amazed that He rescues Hagar and her son from starvation (Gen. 21:17–19). His attitude toward Hagar and Ishmael is vastly different than Sarah’s. Though He endorses Ishmael’s removal in order to eliminate the threat to Isaac’s inheritance, the Lord does not share Sarah’s cruel motivations. This helps explain how the Lord works out His will. God sovereignly ordains everything that happens, including tragedy (Eph. 1:11). But as we see today, He never has the same callous heart as those who cause suffering. John Chrysostom comments: “The grace of God is the greatest security and the most impregnable fortification” (Homilies on Genesis 46.7–8). Though all outward circumstances might testify otherwise, the Lord’s people know that He is their rock and will sustain them through death for an eternal, resurrected life. Are you facing a losing battle this day? Look to God to sustain you and know that though storms may blow, you will be safe for eternity in His arms.